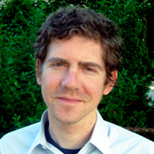 Dylan Walsh is an independent science and environment journalist whose work has appeared in the New Yorker online, the New York Times, the Guardian and Yale e360, among other publications. He is an editor at the Solutions Journal. Can One Health save the world?